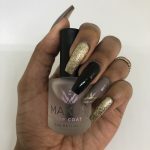 I have seen Maxus Nails for years as a luxury nail brand, and I've only heard positive reviews. All of their products are made to "help you achieve beautiful strong nails while enjoying long lasting manicures". All of Maxus' products are also cruelty free certified. For the review, I decided to buy the Maxus Top Coat. 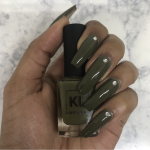 It is sold for $18 on the Maxus Nails website, but you can use my code BROOKLYN15 when you checkout to get 15% off your order. The polish contains ceramic powder and nylon. 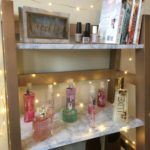 It claims to double the length of a regular manicure, provide a chip resistant, high shine, nail armor with a gel like luster, and a quick-drying, streak free application. Continue reading to find out if all of these claims were true. To start off, I did a regular manicure with regular nail polish. After that, I applied the Maxus Top Coat to seal everything in. I found that it did dry extremely quick compared to other top coats. It was dry within about one minute of me applying it. It took about two minutes to be safe from denting, but that's still a short drying time for me. The top coat smoothed out perfectly on it's own. So, there was no streakiness which I loved because I only needed to apply it once. The shine of the top coat made my nails look like gel. It reminded me a lot of the Sally Hansen Miracle Gel topcoat. The application process was perfect, and I had no problems with streakiness or the drying time. Below is a picture of my nails after applying the Maxus Top Coat. The real test came from finding if my manicure truly lasted longer. 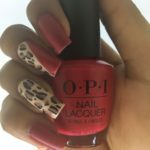 Usually I notice some type of peeling, chipping or cracking within the first four days of my manicure, depending on the products I used. Maxus recommends reapplying the Top Coat every 2 days. 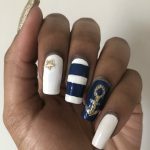 I personally didn't do this because I change my nails every week or every other week, so I wasn't planning on wearing it for a crazy long time. However, I didn't feel the need to reapply the Top Coat. After a week of wearing it, my polish was still completely intact, with no chipping or peeling. I did have very small cracks on one or two nails in the places that my nail may bend, but it was nothing noticeable unless you looked for it. My nails were still shiny at the end of the week, but it looked more like a regular shine topcoat and not as close to gel as it did when i first applied it. 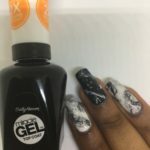 The gel shine lasted around 5 days before it started dulling a little, but this problem would most likely go away if you reapplied the Top Coat every two days like recommended. Overall, the Maxus Top Coat is my favorite topcoat I've used, and I definitely will continue to use it. I totally recommend it to anyone who struggles to keep their manicure looking the same as when they first had it done. It's also perfect if you don't have a lot of time because unlike some topcoats, it doesn't take forever to dry and it gives you a longer lasting manicure.